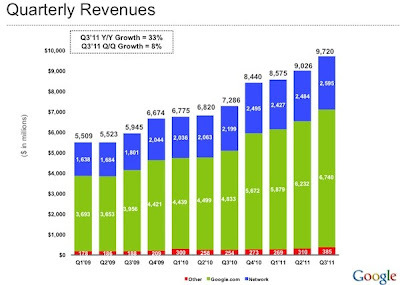 Google today announced its 3rd Quarter earning of $9.27 billion in total revenue and $2.7 billion in net income. This represents a 33% jump when compared to the same quarter last year. Google+ has more than 40 million users now.